Painting in Judaica exhibit at Open Air Museum. Sanok, in the far southeastern tip of Poland, is a charming little town centered around a castle and nice little main market square -- it is a gateway to the Bieszcszady mountains, a beautiful region of lush hills, rushing streams and all the bucolic beauty that goes with it. I was there to write about the project constructing a replica of the destroyed Gwozdziec wooden synagogue -- and I've already posted on this. But, because of its long, rich Jewish history, Sanok, where Jews settled in the 16th century, is a stop on the Chassidic Route traced by the Foundation for the Preservation of Jewish Heritage in Poland, or FODZ. The town was a center of Chassidism in the 19th century, and before the Holocaust, Jews made up between 40 ad 50 percent of the local population. There are only a few traces left of this vivid world. The most interesting is the small but valuable collection of Judaica, photographs, paintings and other material housed at Sanok's open-air folk architecture museum, or skansen, a sprawling display of wonderful wooden village architecture. It's all displayed in a long, bright room in a complex of buildings housing examples of Christian folk art, including carved wooden figures, and centuries-old icons. Among the skansen buildings are a couple of houses once owned by Jews. 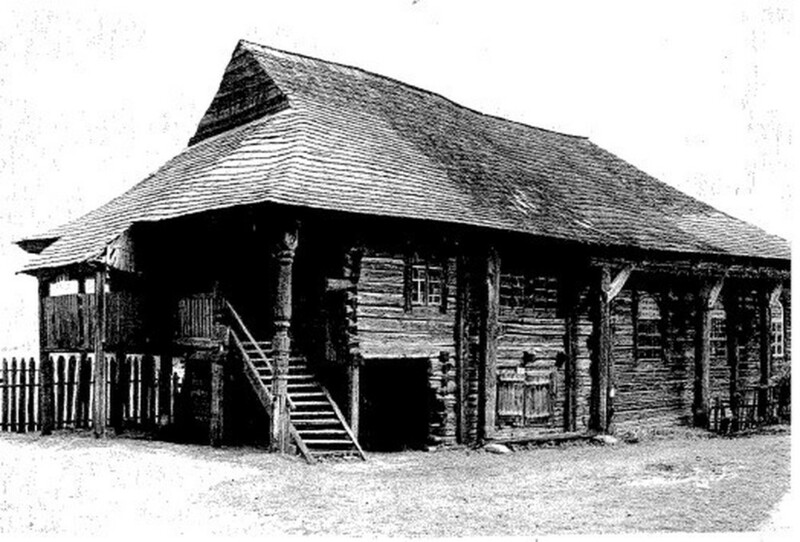 But the museum director told me that there were plans to build a replica of one of the destroyed wooden synagogues -- the 18th century synagogue of Polaniec, for which ample documentation survives. The replica, (if and) when built, will form part of a newly built replica of a smalltown market square which is to open this summer. In town, there are a couple of synagogue buildings, rebuilt for other purposes. There is also one surviving Jewish cemetery, dating from the 19th century -- it's next to the Catholic cemetery. Only a few gravestones remain. There is also a Holocaust memorial.